I’ve paid for many apps, but have never had an app pay me. That is until I discovered Field Agent. It’s the first iPhone app that pays you to use it! When I first heard about it, it reminded me a little of my days as a Secret Shopper in the late 90s where I would go to a retailer and buy an item and fill out a lengthy questionnaire when I got home. However, Field Agent seems a little easier than that since you can answer the questions for your job right at the store. 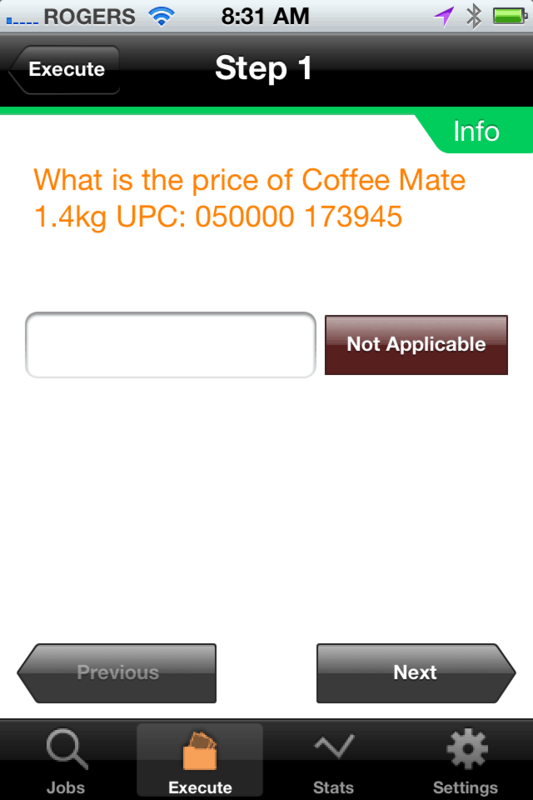 Also the tasks are a easier like taking a photo of a display in the store, doing a price check, or product survey. The minimum amount you can earn per job is usually between $2 to $12 and there’s even been some jobs that pay $50 or more. I saw one yesterday in my area that paid $6.50 that involved me going into the grocery store and taking a picture of a display for a contest and then answering six questions. 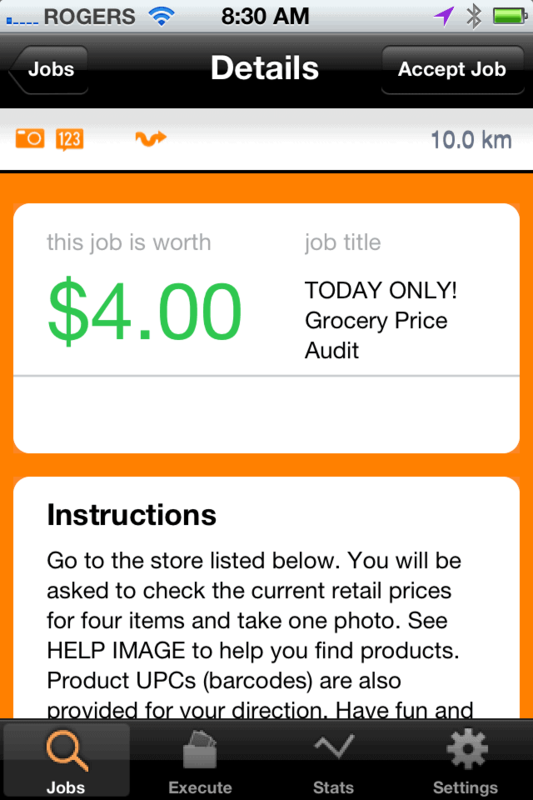 I figure if I am out shopping at the store anyways, it would be easy for me to check the app to see if there’s any available jobs and earn a few quick bucks. The cashflow will come in handy with the holidays coming up! Another aspect I like it the quick payment. Field Agents are paid via Paypal within 24 hours of successfully completing a job. It’s an excellent way to earn some extra cash while you make your shopping errands! I live in a remote area so jobs are few and far between. However, I have seen two come up since I’ve joined Field Agent last week. There’s much more selection in urban centres. After you reserve a job, you have two hours to complete it. I would suggest checking the app when you are out shopping so you can reserve it and then do it right away. There’s currently 12,000 Field Agents across Canada and they are actively recruiting more people to join especially in Atlantic Canada and Quebec. 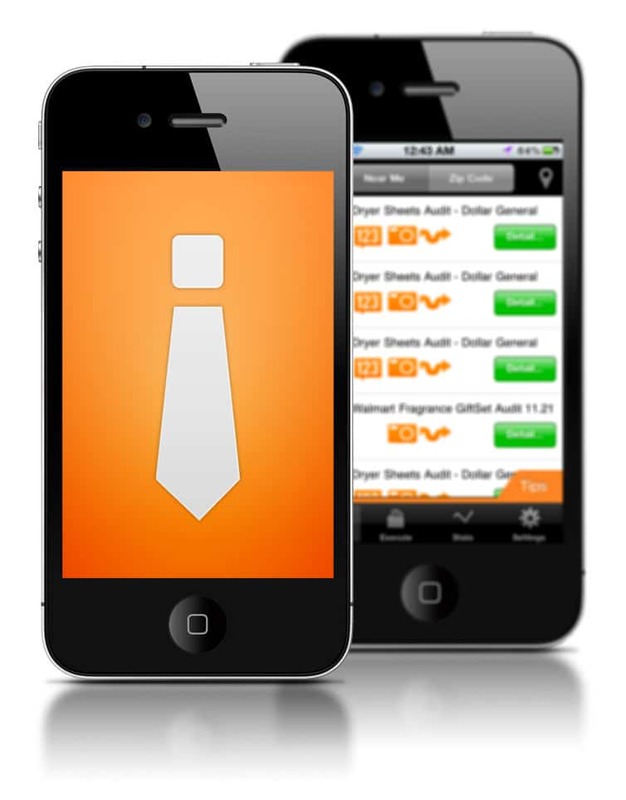 All it involves is downloading the free Field Agent app and completing your online profile. It took me no more than five minutes to do mine. It was very simple. Each Field Agent is given an Agent Score. As you complete more jobs, your score will rise. Mine is currently 85 (the starting point) and I have not completed any jobs yet. The higher score the better paying jobs you will get! Canadians I invite you to become a Field Agent and start earning some extra $$$. Visit the Field Agent site to learn more. If you are already a Field Agent, I’d love to hear what your experience has been. Disclosure: I was financially compensated for this post. The opinions are 100% my own.